How much will Samsung invest in research and development? $4.5 billion! If you think that there is no more innovation ahead for Samsung, mostly due to the fact that many are complaining about the more and more insignificant improvements the company has added with each device launched, this is about to change. Why? 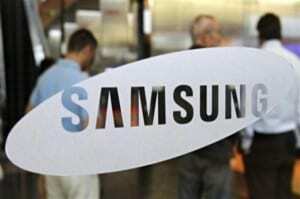 Because Samsung is on the verge of investing $4.5 billion in research and development centers. The company plans to spend this money on 5 of these centers which will be built on their homeland, in Korea. It is reported that the first center will be built at the end of 2015 in the south side of Korea’s capital, Seoul and it will represent the first billion spent out of their budget. This project is expected to need up to 10.000 employees that will be working mainly on design for the smartphones and also other devices. The rest of the research and development centers will be based on other of Samsung’s areas of expertise, such as materials and components, chips and processors and display technologies. Samsung claims that it is of paramount importance to always work ahead of your competitors, by always being prepared and dealing with what the company lacks compared to their competition.